Are single use to-go containers always necessary while eating at a food court? 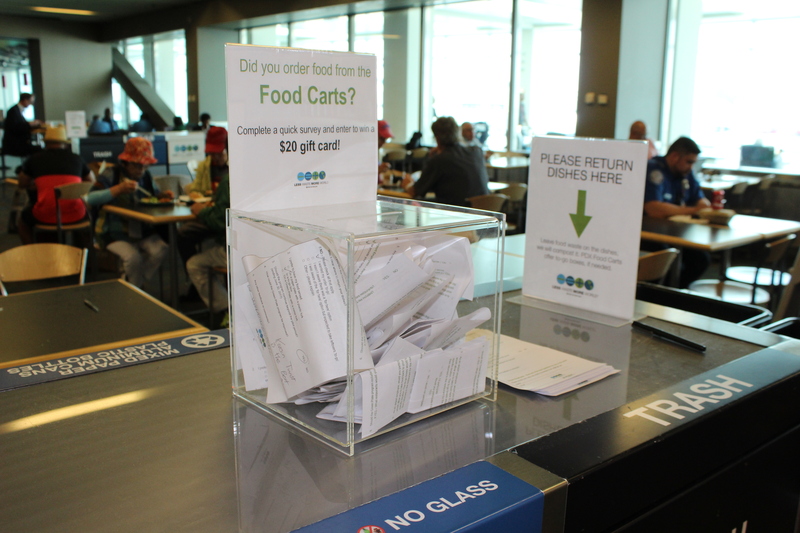 To test out a new “old” way of serving food, the Portland International Airport Waste Management Team offered reusable, green plates at food carts from April to June 2017 in the airport. 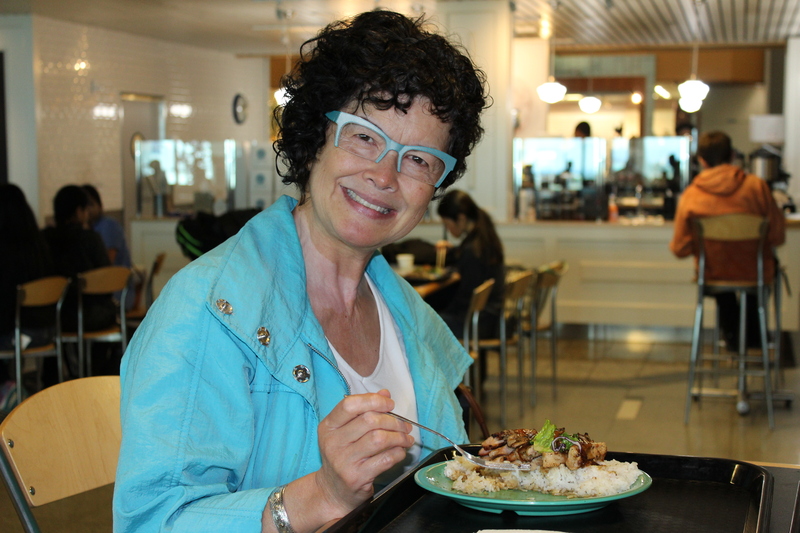 The pilot project gave diners a chance to use silverware and eat off real plates. It turns out people preferred it. About half of customers chose the sustainable option. As a result, the Green Plate and Port of Portland Headquarters Box pilot program reduced to-go packaging waste from PDX food carts by a remarkable 73 percent. It also enabled composting of 374 pounds of food waste that otherwise would have gone to the landfill. Insiders know – recycling alone won’t solve the waste problem. Changing demands for collected recyclables in domestic and international markets makes it even more difficult. Given challenges, many are rethinking their approach beyond recycling. Innovative solutions lie upstream, in the “reduce” component of the equation. Reducing waste at airports has always been tough. Travelers pass through the terminal quickly and often a more sustainable option is not available. Disposables are easy. So, when the waste team looked at new opportunities, they focused on reducing the single use, disposable to-go container. 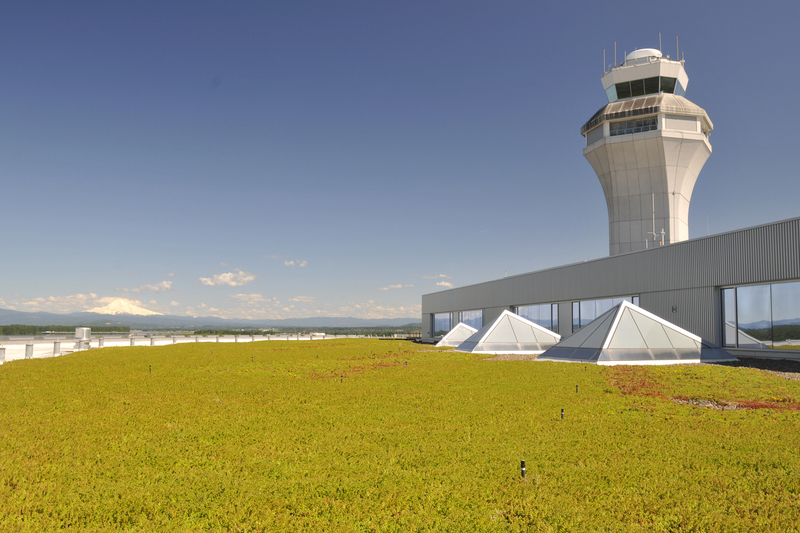 The waste team has always depended on data and audits to provide airport tenants strategic feedback. So naturally, they began to observe and ask the question – where will a reusable alternative work? The project took place in the pre-security food cart area where it was observed that nearly 80 percent of customers enjoyed their food sitting down and almost all of those taking food to-go were airport employees. Another ideal feature was the fact that the food carts shared a common kitchen located near a janitorial dishwashing room. The Green Plate and Port Headquarters Box pilot program included three food cart restaurants and provided durable dishes for customers dining-in and durable to-go boxes for Port employees. Signage informed customers of a common collection area to return dishes. Janitorial staff were responsible for collecting, washing, sanitizing and returning the dishes to the kitchen as well as composting food waste. 73 percent reduction in to-go packaging waste. 374 pounds of food waste collected and composted. 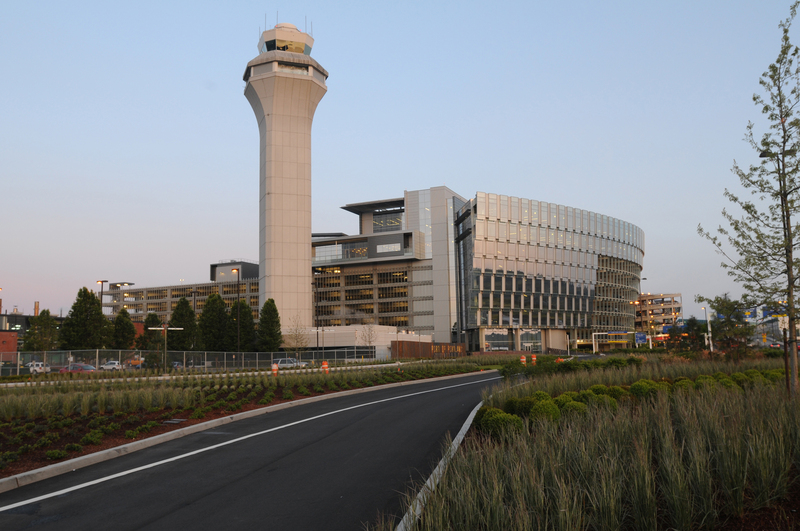 The Waste Management Team consulted food carts, janitorial staff, and airport operations during program design, and customers were surveyed for feedback. 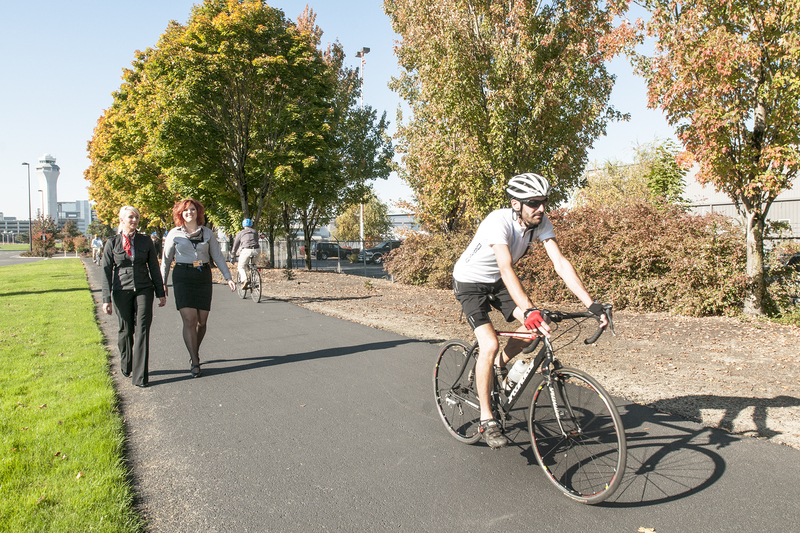 Given positive accolades, PDX is considering program expansion to include more employees and restaurants. Oregon Department of Environmental Quality funded the pilot project through a Materials Management Grant; they will be sharing the project as a case study. OBSERVE: Look for a location where people sit down to enjoy their food rather than carry it away. 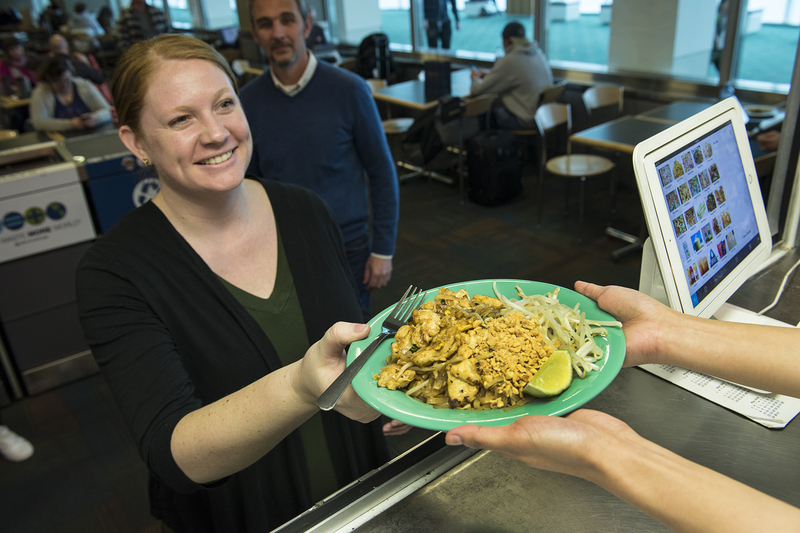 We noticed that 77 percent of PDX food cart customers enjoyed their meal sitting down in a pre-security food court, providing an opportunity for a reusable alternative. ENGAGE STAKEHOLDERS: When designing the program be sure to include all people who will be involved in the new system, getting their feedback and perspective early will ensure a smooth launch and increase program support. SET UP A SYSTEM AND TEST: Try out the new system on a limited basis to allow time to work out the obstacles. 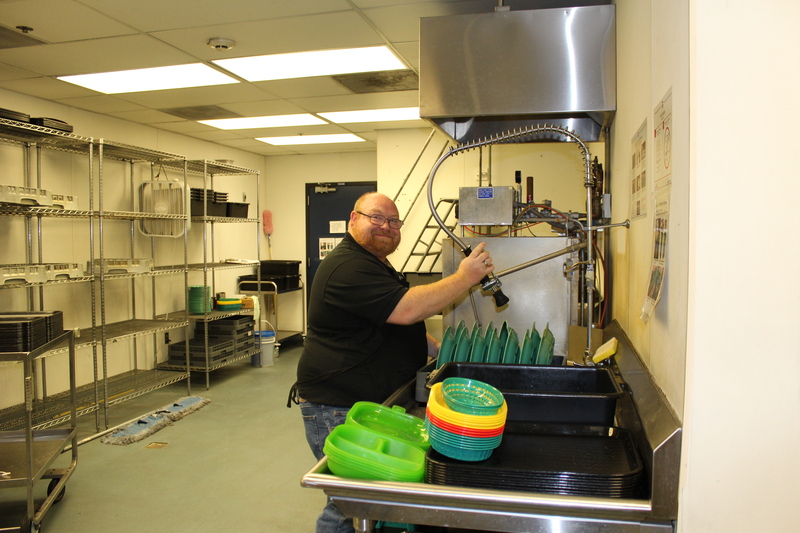 To test the program, we offered reusable green plates, utilized a nearby dishwashing room, posted signage and engaged staff to collect, wash and return dishes to the food cart kitchen. We found that janitorial staffing levels needed to be adjusted to customer volumes and there was capacity to include more restaurants. PROVIDE CUSTOMER CHOICE: While we offered durable plates, customers still had the choice to order their food “to-go.” To encourage durables, signs shared that to-go packaging was always available if needed. Forty-five percent of PDX Food Cart orders were served on a Green Plate. COMPOST EXTRAS: The new system allowed for new opportunities to minimize waste. While composting wasn’t appropriate for the food court, it was easily managed in the commercial dishwashing room. By adding a dishwashing position, we could collect any food left on plates by customers amounting to 374 pounds. MONITOR AND MEASURE: To understand program impact, conduct pre-and post-waste audits and tracking how many dishes were used. We also surveyed participants with comment cards and interviews to gather their opinions. One-hundred percent of customers indicated they enjoyed eating on a real plate.